Naples: “The 0.1% sulphur emissions control area rules that will apply in the North Sea, Baltic and English Channel from next January are set to split the shortsea shipping industry into two classes: operators that can still compete, and those that will struggle”. That’s the opinion of Emanuele Grimaldi, ceo together with his brother Gianluca of the Naples-based Grimaldi Group. He is absolutely sure that winners will emerge from these volatile and uncertain times thanks also to the new emission rules. “Finnlines and Minoan Lines, our group companies operating respectively in the Baltic and East Mediterranean region, are laying down the benchmark for their markets” the Italian shipowner says. The deepsea routes in the Atlantic Ocean are covered by the Atlantic Container Lines’ vessels while the Euro Med Network linking Northern Europe, West Africa and South America are operated by Grimaldi Lines conro ships. Emanuele Grimaldi underlines that “over the last few years we have grown from 85 units to 103, with another 11 set for delivery. Our vessels are on average 11 years old, compared to the industry average of between 20 and 25”. On September 1 the Italian shipping group took delivery of the Grande Lagos, first in a series of six multipurpose vessels ordered at Hyundai Mipo shipyard. With a gross tonnage of 31,600 tonnes and a length of 236 m, the Grande Lagos has a capacity of 5,700 linear metres and 1,800 teu. Grimaldi Group next year will also receive all of the five roro ships under construction for Atlantic Container Line at the Shanghai-based Hudong-Zhonghua shipyard. These newbuildings will have a capacity of 3,800 teu, plus 764 roro units and 1,307 cars. 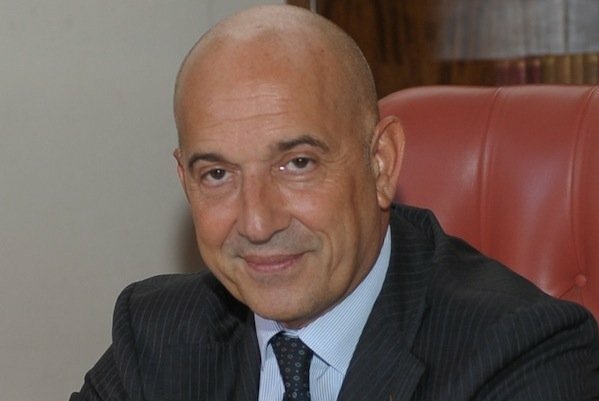 “Beyond the new investment plans, this year we are investing EUR100m in green technologies such as hydrodynamic coatings, re-blading and scrubbers for the Finnlines fleet deployed in the Baltic sea,” adds Grimaldi who is also the president of the Italian Shipowners Confederation (Confitarma). “When combined with slow steaming and propulsion systems retrofits, we have been able to reduce fuel consumption every year since 2008 by at least 10%.” This process – Grimaldi explains – is far from over since Finnlines is now investing another EUR50m in emissions scrubbers for 14 of its 20 operated ships. Given solid financial results – a EUR179m net profit last year – the Neapolitan shipping company is eventually considering new acquistions.